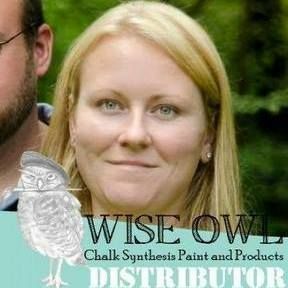 Wise Owl Chalk Synthesis Paint is Zero VOC, free of crystalline silica, and made in Michigan! Our premium furniture paint has amazing coverage superior adhesion to most surfaces! No sanding or priming is required prior to application for most projects. It adheres to stained, painted, or wood furniture, metal, glass, fabric, and more. A pint (16oz by volume) covers approximately 80sq ft. You will appreciate its ease of application. Available in many colors that can be used for a number of different paint techniques.